Kobe Bryant won’t go away. I was desperately waiting for him to retire so that I wouldn’t have to watch his brand of basketball or listen to his brand of pop-psychology anymore. Then he retired. But now he's back. Bryant developed a reputation during his playing career for being ultra-competitive (true) and always coming through in big moments (not true). There’s a difference, you see, between being willing to take an important shot at the end of a basketball game (competitive fire) and actually making that shot (coming through). Bryant was always willing to shoot it, regardless of the presence of more-open teammates, but his reputation belies his statistics about making it. In fact, Bryant holds the record for most missed shots in NBA history. In the final game of his career, he famously scored 60 points. What’s less reported is that it took him fifty shots to do it. The rest of his team shot nineteen times total. That’s a microcosm of Kobe’s entire professional life. In one of the most important games of his career, game 7 of the 2010 NBA finals (a finals in which he would win MVP), he shot 6-of-24. And yet, he’s The Black Mamba. Sorry. I don’t like Kobe. Is that coming through? Bryant has been retired for several years, but the media doesn’t seem to want to let him fade into the obscurity his few detractors think he deserves. He has a new show called “Detail” during which he analyzes games during this year’s NBA playoffs. I’m sure he spends it lauding players who are willing to take bad shots and criticizing players who pass the ball to open teammates. That’s just not the Mamba way. Actually, it’s not "the Mamba Way," it's “Mamba Mentality” or #mambamentality. 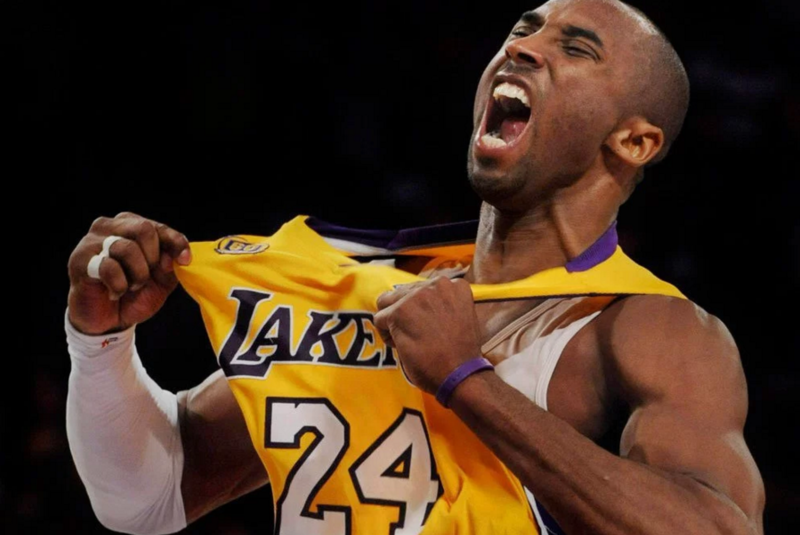 #MambaMentality is a term that Kobe has coined (he’s big on this; he gave himself his “Black Mamba” nickname) to describe his essence as he might come across it in another player. Russell Westbrook, for instance, who just last week took 43 shots in his Thunder’s season-ending loss to the Utah Jazz, could be said to possess #mambamentality. Not that Kobe said so. No, Kobe reserves #mambamentality for winners. And, I mean, fair enough. It was inarguably a big-time shot. But #mambamentality? Where was Russell Westbrook’s tweet? Where are the tweets for all the losers who take big-time shots and miss them? Where’s the tweet for me? Ask pundits. Ask general managers. Ask players. Ask almost anybody. Who would you like to have take the last shot with the game on the line? Kobe Bryant wins by a country mile. Every time. (In a general-manager poll this season, he earned 79 percent of the vote, his ninth consecutive blowout.) There is not really any other serious candidate. Ask me, though (as Ryen Russillo did last week and Mike Trudell the other day), and I'll tell you I don't know who's the best, but with all due respect to Bryant's amazing abilities scoring the ball, there's zero chance he's the king of crunch time. So we are left with a delicious irony: Kobe Bryant, who developed the idea of #mambamentality to reflect his willingness to take (over against his ability to make) big shots, now only bestows #mambamentality on people who can actually make those shots. Kobe wouldn't actually qualify for membership in his own club. Perhaps it seems like it should go without saying that the God of the Christian gospel is not like this. But it doesn’t go without saying. Many Christians—and most non-Christians—assume that God deals out his grace and love like Kobe deals out #mambamentality tweets. To the shot-makers. To the winners. To the success stories. Nothing in the church makes people more angry than grace. It's ironic: we stumble into a party we weren't invited to and find the uninvited standing at the door making sure no other uninviteds get in. Then a strange phenomenon occurs: as soon as we are included in the party because of Jesus' irresponsible love, we decide to make grace "more responsible" by becoming self-appointed Kingdom Monitors, guarding the kingdom of God, keeping the riffraff out (which, as I understand it, are who the kingdom of God is supposed to include). Kobe, who—as a great shot-misser—was given the undeserved clutch reputation, is now serving as the guard at the door of #mambamentality, and only the successful shot-makers need apply. The Kingdom of the God of the Gospel, on the other hand, includes great shot-missers like Kobe and Russell Westbrook, great shot-makers like Arike Ogunbowale, and perhaps most stunningly, you. And me. The Good News about Jesus Christ is that our inclusion is not based on our performance, but on his. #mambamentality is out the door. We shoot. We miss. We’re in. #GospelMentality.